Whatever your style, colour or size we can make any piece of furniture to suit. We can make one of individual pieces or fully matching bedroom furniture sets. 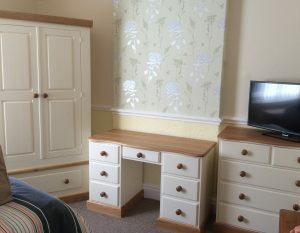 All our bedroom furniture can be made freestanding or fitted. Our beds can be made to any standard size but we can also make them unique to you and we can also supply mattresses made to any size to fit. If you have a particular design in mind just let us know and we can make it! Our wardrobes can be made to fit any awkward space in your bedroom. We can fit them into sloping walls, angled roofs and alcoves. They can fit wall to wall and ceiling to floor. Our wardrobes range from single to fully fitted Princess robes. We can design the internal part of the wardrobe to suit you and your clothes and accessories! We make our furniture to fit up any stairs! There need be no more wasted storage space in your bedroom! 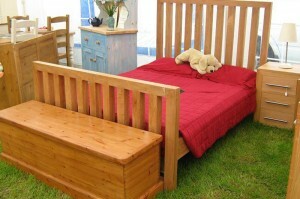 For the children’s room we can make any furniture on a smaller scale. 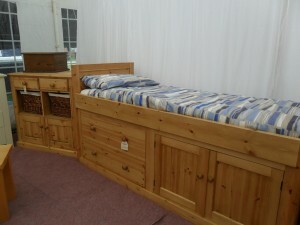 We have toy boxes with soft closing lids and cabin beds with lots of under the bed storage. We can also make novelty childrens beds. We have recently done a butterfly and a surf shack whichboth proved big hits with the children.